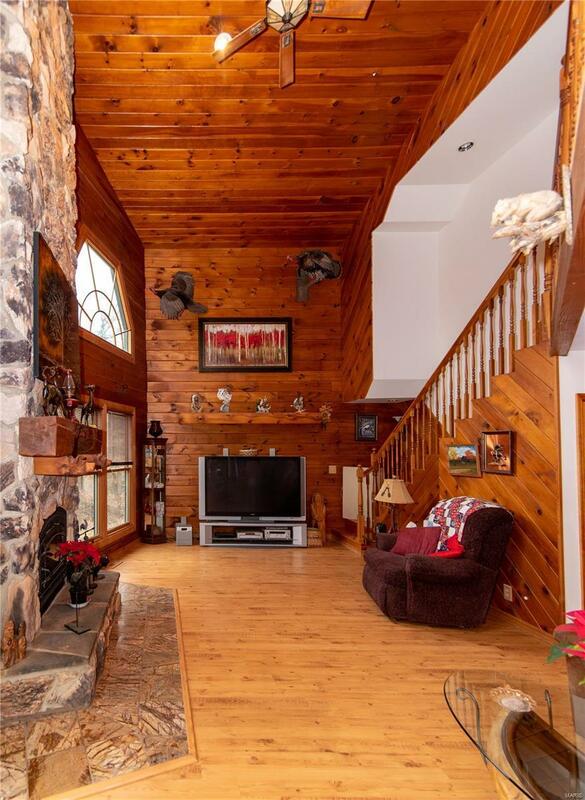 Luxurious Log Home on 20+ Acres, Cathedral Ceilings, Master Bedroom Suite with separate tub and shower & walk in closet, Full Walkout basement with 9 foot ceilings. 50X30 Outbuilding with concrete floor and electric. Very private setting great views from the covered front porch, deck, or patio. 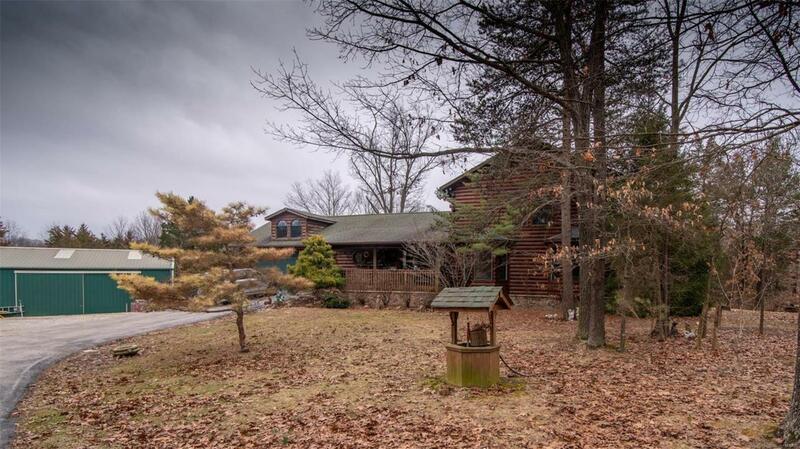 House has Zoned heating and cooling, fully equipped kitchen, wood furnace, 400 Amp electric. Great area with paved road, security gate. Shown by appointment only.